* MDBT42Q-AT-UART-S is for MDBT42Q-AT & MDBT42Q-PAT. 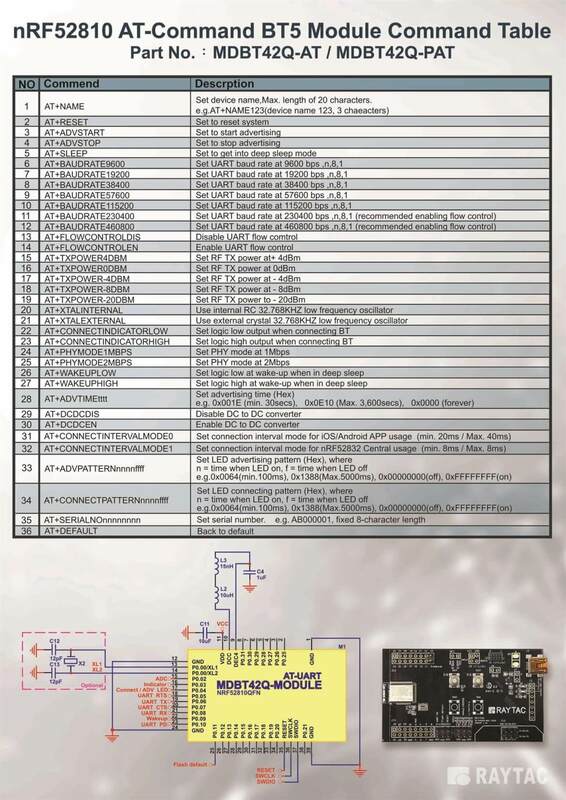 MDBT42Q-AT-UART-S is designed for testing and debugging without building your own board. 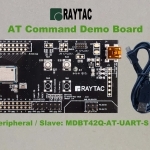 The board is only available with MDBT42Q-AT(Chip Antenna) module which pre-programmed with Raytac's AT command Peripheral/Slave Role firmware. 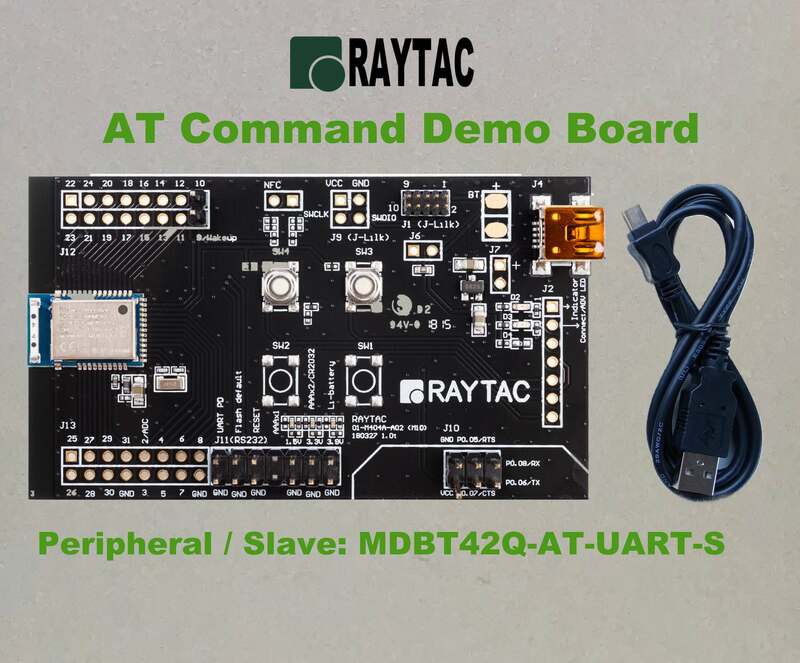 If you are looking for demo board for Central/Master Role AT command, please view MDBT42Q-AT-UART-M.
MDBT42Q-PATM deployed PCB Antenna and offers a fair connectivity ability. MDBT42Q-PAT deployed PCB Antenna and offers a fair connectivity ability. MDBT42V-PAT deployed PCB Antenna and offers a fair connectivity ability. 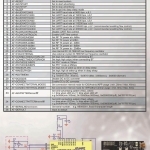 View spec sheet of each module to find out more information.